JUNEAU — For the past two years, a group of Alaskans whose lives and livelihoods are affected by alcohol would gather to talk about it. 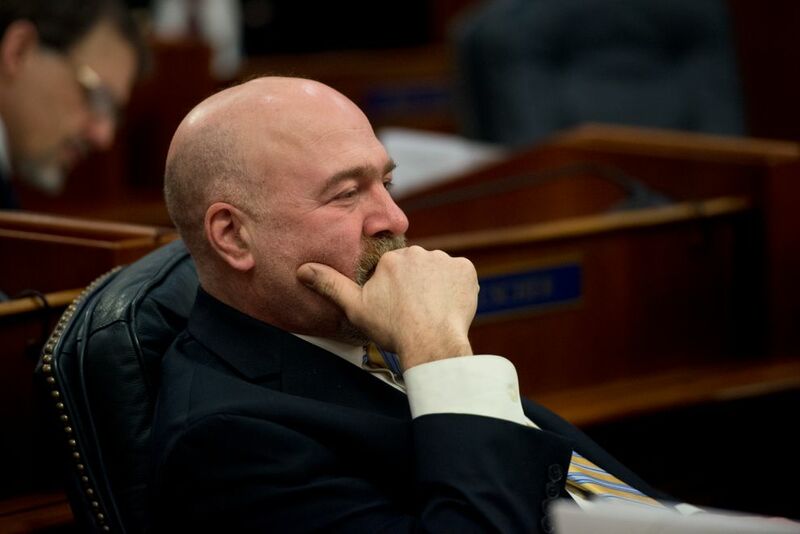 They had phone calls and meetings to talk about a bill to update Alaska's decades-old alcohol laws — with ideas like regulating online sales, increasing license fees to pay for stronger enforcement and adding new penalties for serving minors or people who are already drunk. The resulting legislation, Senate Bill 76, was written by Soldotna Republican Sen. Peter Micciche to balance the competing interests of the groups involved in the discussions: owners of bars, breweries, distilleries and stores that sell alcohol for profit, along with government and nonprofit entities that contend with Alaska's widespread social problems caused by drinking. But in the final weeks of this year's legislative session, the fragile consensus among those groups collapsed amid a push by bar owners to add further restrictions on over-the-counter sales of beer and drinks at breweries and distilleries. Bar owners say those sales are cutting into their own businesses. And an amendment to the bill adopted at their behest — with an assist from two legislators who have owned bars themselves — has now sunk all the other reforms in SB 76. Micciche, in a prepared statement Thursday, announced he would stop pushing for passage of the legislation after, he said, it was "hijacked" by a "special interest group." "That battle that's brewing has to be settled elsewhere," he said in an interview. "It's not going to be settled in this bill." SB 76 emerged from years of talks about updating the state's patchwork of alcohol laws — a broad effort that drew attention not just from industry but also from social service providers and influential nonprofits such as the Rasmuson Foundation. Those organizations cited Alaska's high prevalence of alcohol-related problems as a reason for their support of the overhaul. Alaska ranked third-highest among states in 2015 for alcohol-related deaths, which have risen by 25 percent in the state since 1999, according to a report issued this week by the Department of Health and Social Services. In 2016, almost half of the children in state foster care had parents or guardians who abused alcohol, the report said. Between 2010 and 2016, more Alaskans died from alcohol-related causes than from meth and opioids combined, the report said. "Perpetually present in the shadows of newly emerging public health concerns, alcohol misuse and its extensive adverse consequences to individuals, families, and communities often gets overlooked," the report says. Micciche has passed other, incremental changes to the state's alcohol laws over the past several years. But SB 76, at more than 100 pages, is his broadest and most ambitious effort yet. • Increasing fees for most types of licenses, which would generate roughly $500,000 extra each year to help the state enforce alcohol laws and conduct public education — and allow the state to provide better customer service for license holders. • Creating new penalties for license owners whose employees break laws against serving minors and drunken individuals. • Regulating online sales for the first time, with an eye toward restricting the flow of alcohol to minors and to villages where it's restricted or banned. • Creating a new statewide requirement that all kegs be registered, which would make it easier to find people responsible for allowing minors to drink. Other provisions would have benefited specific segments of the alcohol industry. They included allowing liquor stores to serve free samples for the first time, easing restrictions on transferring certain types of licenses and allowing distilleries and breweries to buy new licenses that give them more ways to sell their products directly to customers. One final idea that emerged from the stakeholder meetings proved more contentious, and it came over the objection of craft brewers: a provision that barred distilleries and craft breweries from selling more than 20 percent of their products to customers at tasting rooms, rather than wholesale. That idea was pushed by Alaska CHARR, the group whose members include the owners of traditional bars, brew pubs and liquor stores. 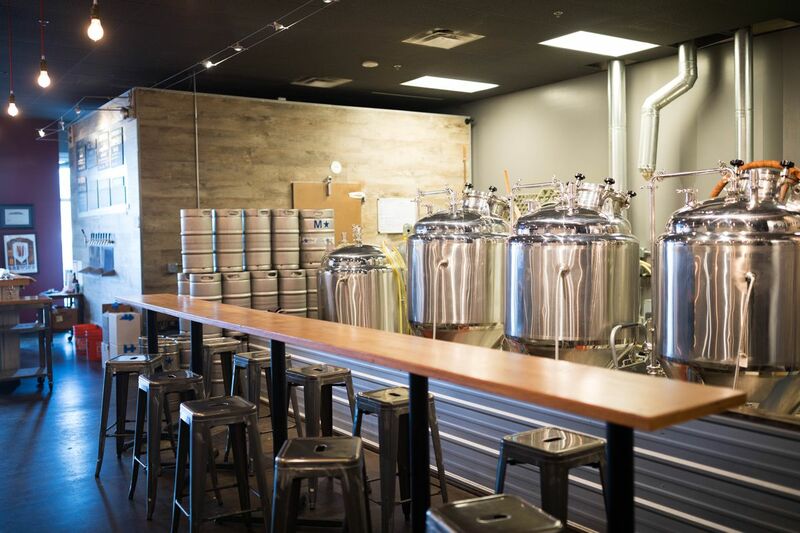 Those owners have increasingly expressed alarm over the proliferation of distilleries and breweries that run tasting rooms, which they say are capturing some of their customers. That dynamic is on stark display in downtown Juneau, where two new tasting rooms sit blocks away from a strip of bars. One of them, Amalga Distillery, has emerged as a popular after-work destination, where customers can buy a Moscow mule and a gin and tonic before reaching their limit. "You can say all you want that they're testing the product. But when they go there day after day after day, they're not tasting the product. They're having a cocktail," said Eric Forst, co-owner of the Red Dog Saloon, a bar that sits near Juneau's cruise ship docks a few blocks down the hill from Amalga. Bar owners — who in Juneau can pay hundreds of thousands of dollars for their liquor licenses — say that the tasting rooms are upsetting Alaska's longstanding three-tier system that's supposed to keep clear lines between manufacturers, distributors and retail sellers of alcohol. The bar owners say it's not fair that they have to compete against brewers and distillers, who in many large communities can buy a liquor license directly from the state for $1,000. That's because Alaska sets strict limits on the number of each type of liquor license that can be sold in a given area. Most places have no bar licenses still available from the state, meaning that they must be purchased at a steep price from an existing operator. But there are still brewery and distillery licenses available from the state for $1,000 before the same cap is reached, especially in larger places like Anchorage or Juneau. "They paid 1 percent of what most bar owners paid for their license," Forst said. "They made a choice to enter into a manufacturing business, not a retail business." Brewery and distillery owners say they're under attack for being successful entrepreneurs and serving an untapped market. 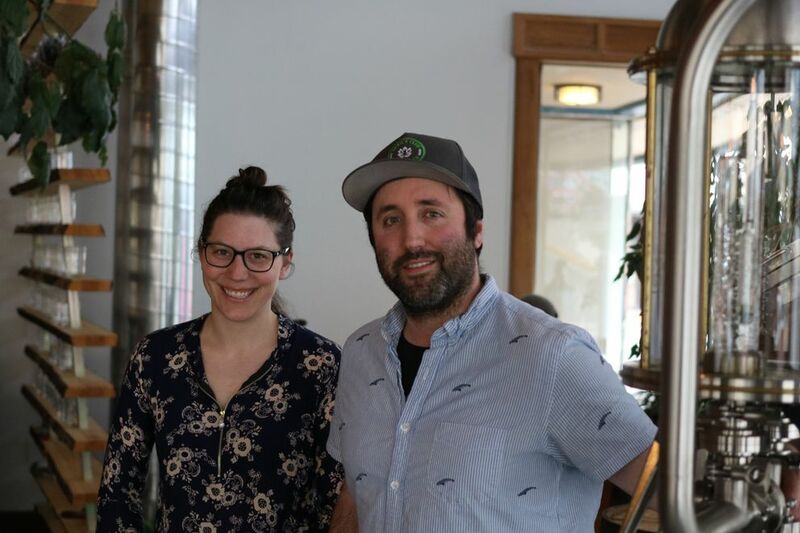 Brandon Howard, who opened Amalga last year with his wife, Maura Selenak, said that even without an expensive license, they've already invested $1 million in their business. Tasting rooms also have to abide by sharp restrictions that differentiate them from bars: They can't sell customers more than 36 ounces of beer or 3 ounces of liquor in a day, they can't serve past 8 p.m. and they can't have live entertainment, darts or television. "I am breaking new ground. I am testing this business model and seeing if it is, in fact, viable for Juneau," Howard said. 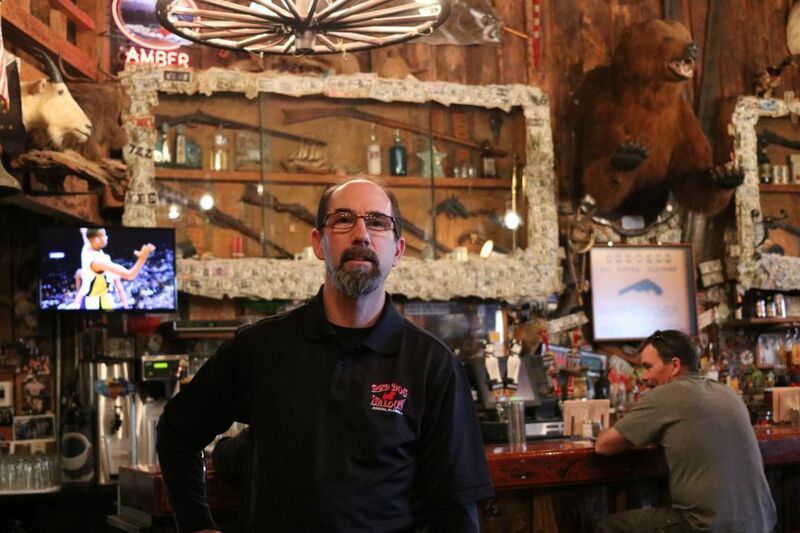 If bars are facing a decline, he added, that's because they're not adapting to the changing tastes of Alaskans, who are drinking more craft beer and liquor. "What we're seeing here is an industry that is digging in its heels rather than catering to the consumers," Howard said. "They're finding a scapegoat." Micciche, the senator who sponsored the alcohol legislation, included the 20 percent cap on breweries' and distilleries' sales to individual customers because he initially thought it was one of the items that the stakeholder group agreed on unanimously. He said he removed the cap from the legislation when it became clear that it was included over the objection of Alaska's brewers and distillers. Many of the bill's backers said there was broad support for all the other items in the bill — including support from CHARR, the group that represents bar and liquor store owners. But a top CHARR official, Dale Fox, said the group's support for the legislation depended on the inclusion of the 20 percent rule. Without it, he added: "It's totally out of balance." SB 76, without the 20 percent rule, passed the Senate unanimously last month. At a subsequent hearing in the House Labor and Commerce Committee, bar owners delivered passionate testimony asking lawmakers to restore restrictions on breweries and distilleries. In response, the committee passed an amendment last week to sharply lower the cap on tasting rooms' daily serving limits, lowering them to 24 ounces of beer from 36, and 2 ounces of alcohol from 3. The sponsor of the amendment was Republican Rep. Louise Stutes, who owned a bar in her hometown of Kodiak for more than two decades. And one of the amendment's supporters was Fairbanks Democratic Rep. Adam Wool, who also owns a bar, the Blue Loon, that he's trying to sell. Critics charge that Stutes and Wool, who are both members of the largely-Democratic House majority, have a conflict of interest. Micciche, in his prepared statement Thursday, called Stutes' amendment "self-serving." Rather than steer clear of the issue, Wool has taken an active role in the debate on the legislation; he said he'd held a meeting with some of the distillers to see where they could compromise. 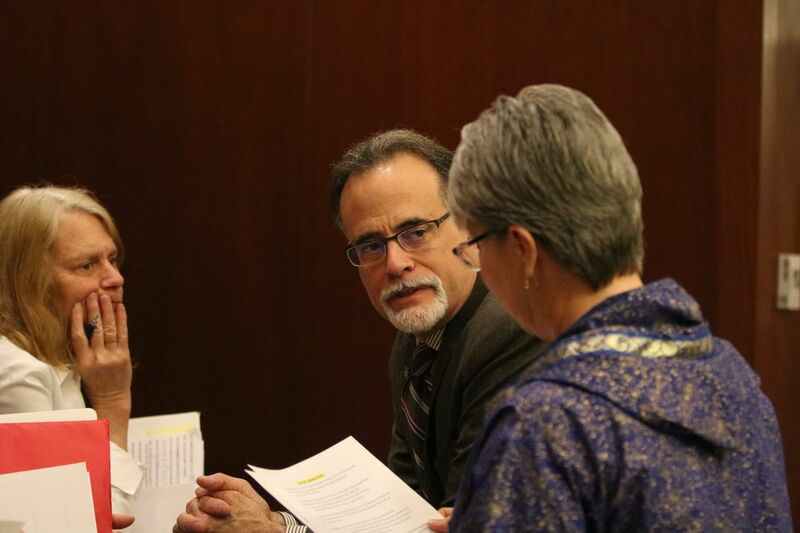 In an interview, Wool pointed out that Micciche, who works for ConocoPhillips outside the legislative session, participates in legislative debates on oil taxes. He said he doesn't know how he could remove himself from the discussions about alcohol laws, other than to skip committee meetings. "I guess that's a question about citizen legislators. Do you want people that are just purely professional politicians, that don't have ties to anything else?" Wool asked. The one-page amendment lowering the daily serving limits now appears to have derailed the entire bill. With it, Micciche said, the bill is unfair and will have to wait until next year, since the Legislature is expected to end its annual session in less than a week. That result has frustrated those who have been pushing the broader overhaul of Alaska's alcohol laws for years, like Tiffany Hall, who works with a nonprofit, Recover Alaska, that fights alcohol abuse. The amendment, she said, should have been removed. "This tiny change is going to throw away 112 pages of really good policy," she said.